In December of 2015, the City of Beech Grove implemented a program allowing citizens to dispose of unwanted or outdated medications. We ask that you not dispose of these items in your trash or flush them down the toilet. 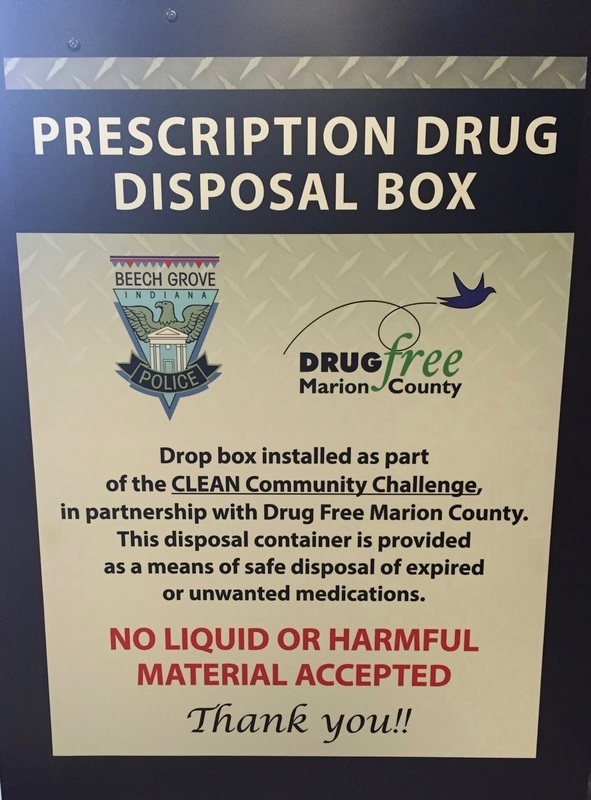 The disposal container is located in the front lobby of the Beech Grove Police Department, located at 340 E. Churchman Avenue. Listed below are the types of medications that will and will not be accepted. The disposal container in the front lobby of the police station can be accessed 24 hours a day, 7 days a week. Simply walk into the lobby and place your medications in the container and leave, no questions asked. This program is part of the CLEAN Community Challenge that the City of Beech Grove is participating in through the Indiana Department of Environmental Management (IDEM).